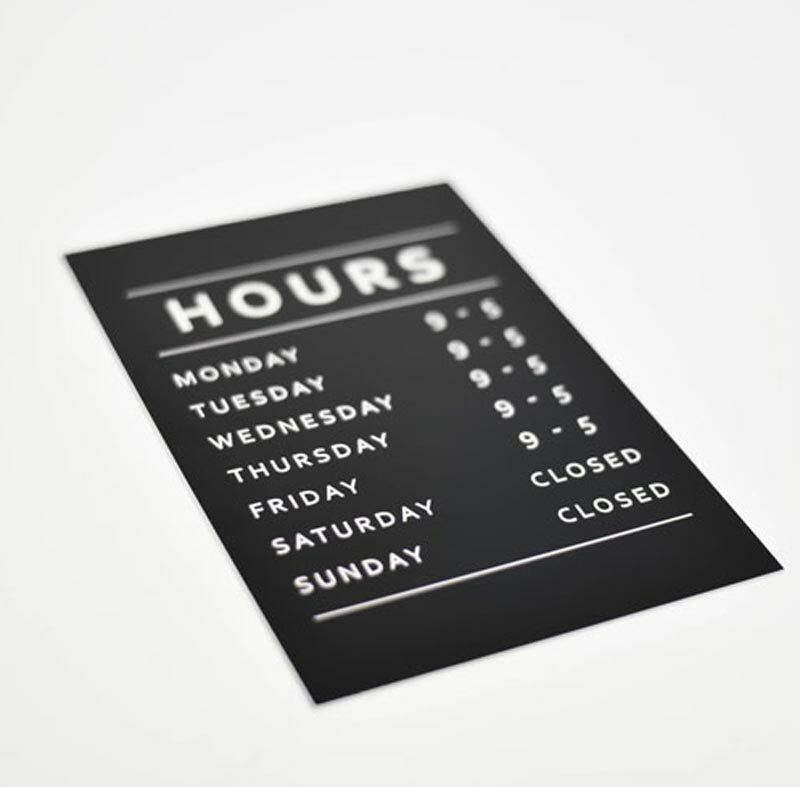 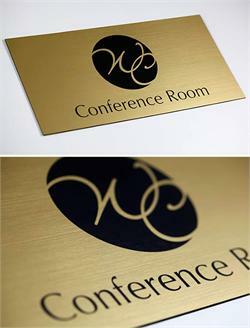 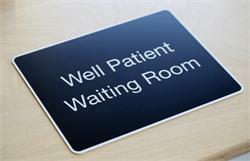 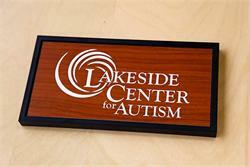 Laser engraved (1/16" thick) acrylic office hours signs - Professional, durable way to post the hours of operation for your business. 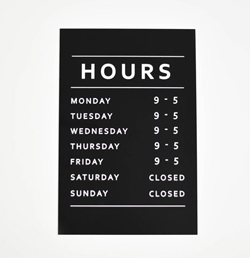 The main photo shows the standard layout of the sign and you can customize the header portion (standard header reads "HOURS") and the specific hours per day of the week to read whatever you need at no additional cost! 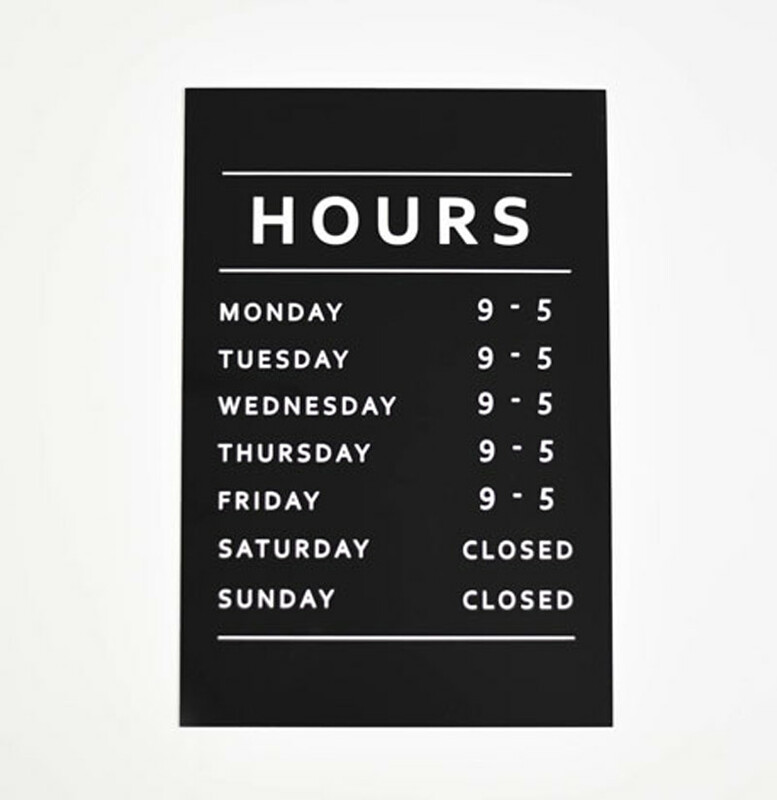 If you're not open on Saturday and Sunday and would prefer not to have those days listed on your sign, let us know in the special instructions to exclude them when ordering. 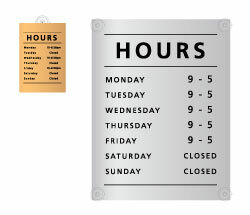 If you have any other specifics like that, leave your instructions in the notes and we will be sure to create your custom sign to your specifications. 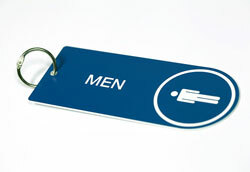 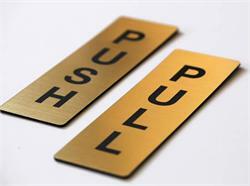 Choose from a variety of two-color combinations including brushed metal and wood-like finishes. 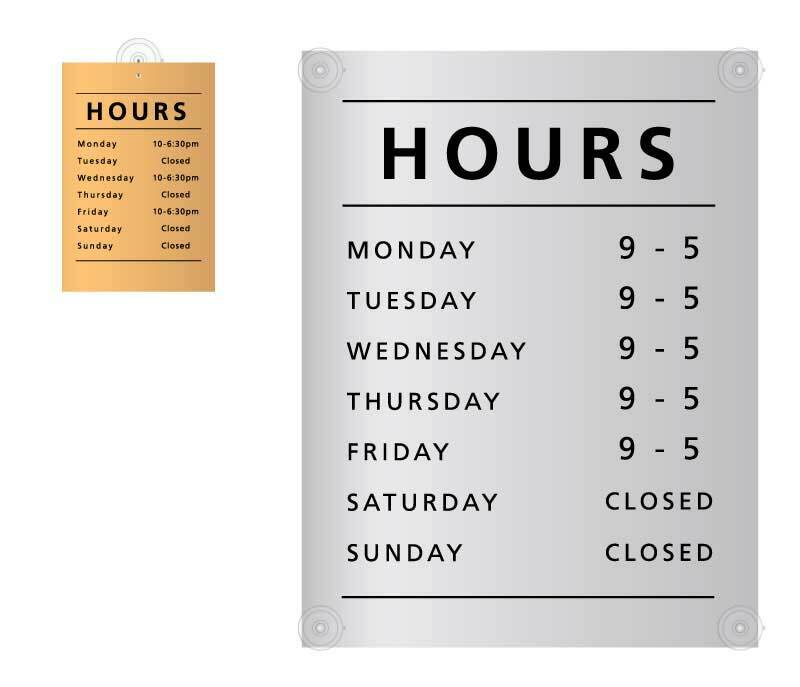 If you require a size or style not listed here, please contact us at service@officesigncompany.com or via phone at (701) 526-3835 with all of your details. 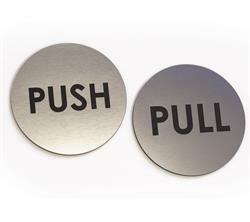 Note: If selecting the suction cup mounting option, (1) suction cup with a hook will be provided with the 6"W x 9"H size and (4) suction cups with stud/nut fasteners will be included with the 18"W x 23.5"H size.